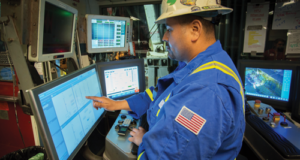 Ensco recently launched its Continuous Tripping Technology, a proprietary ution that provides more efficient and safer pipe tripping and helps to lower operators’ offshore project costs. 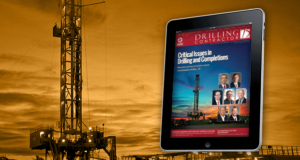 The patented technology, in concert with other equipment, sensors and process controls, fully automates the movement of the drill string into or out of the well at a constant, controlled speed. 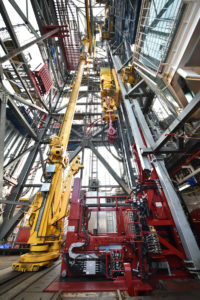 When deployed during offshore activities, the technology enables pipe-tripping speeds of up to 9,000 ft/hr – up to three times faster than tripping times achieved by current conventional stand-by-stand methods. 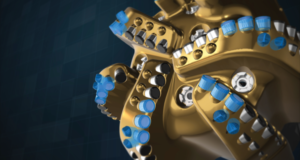 The technology can be retrofitted to both floaters and jackups and is particularly well-suited for ultra-deepwater drillships and large modern jackups. 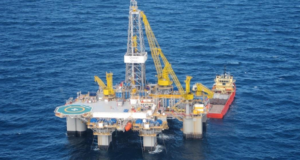 Ensco recently completed the installation of the technology on ENSCO 123 jackup. Upon completion of the system’s commissioning and the rig’s acceptance testing, ENSCO 123 is expected to be delivered in March 2019. 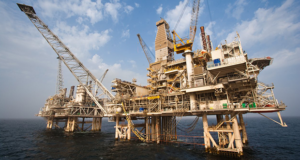 Ensco’s Continuous Tripping Technology enables tripping speeds of up to 9,000 ft/hr, which is up to three times faster than tripping speeds achieved with current stand-by-stand methods. 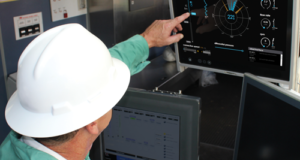 The technology has been installed on the ENSCO 123 jackup. 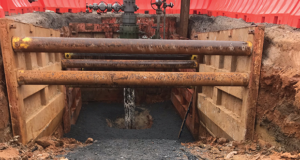 In addition to increased efficiencies, the technology makes the pipe-tripping process safer by using automation to eliminate human error and personnel exposure associated with the conventional stand-by-stand method. 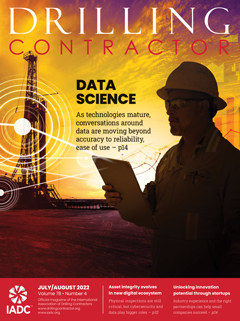 Further, the constant speed that the technology delivers helps to minimize surge and swab pressure on the wellbore by eliminating intermittent stopping and starting, as well as excessive peak speeds that typically occur when using current industry practices. 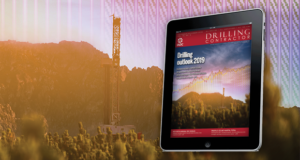 “Continuous Tripping Technology is another example of our ongoing investments in innovation that are focused on developing systems, processes and technologies to make the drilling process more efficient and to lower offshore project costs for customers,” Mr Trowell said. 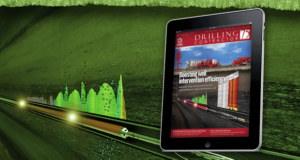 AFGlobal has completed its field evaluation of the DuraStim pump in the Permian Basin. The patented pressure-pumping technology offers advantages over traditional fracking technology and those offered by other electric and turbine-based systems. 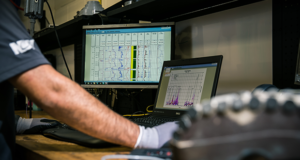 The trial followed five years of stringent design and engineering, as well as significant in-house testing to prove out suitability for actual pressure-pumping operations. Designed by AFGlobal’s Pressure Pumping Technologies group, the DuraStim frac pump at 6,000 hp offers the equivalent of three times the effective horsepower of a conventional frac unit, while operating at approximately 10% of the cyclic rate. The pump offers more than a 65% reduction in fleet footprint and manpower, while extending equipment life and reducing maintenance costs. When coupled with an electric or turbine drive, the system is expected to also deliver a significant reduction in fuel consumption and emissions. Initially, AFGlobal will offer the system with an electric direct drive but expects to provides a turbine-direct drive system later in 2019, as well as a 3,000-hp diesel system later in 2019 or early 2020. 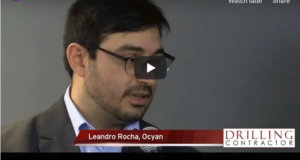 The system will also offer a cloud-enabled control system to optimize the distribution of information and predictive maintenance. 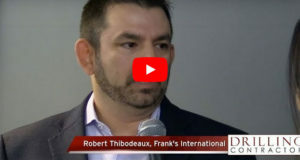 The field trial was conducted in the Permian Basin in connection with ProPetro Holding. 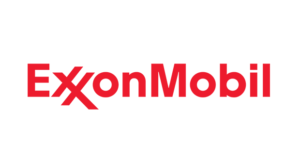 “We believe that the possibility of adding the DuraStim pump technology to our current fleet could help us substantially improve efficiencies and reduce our equipment downtime,” said Dale Redman, ProPetro CEO. 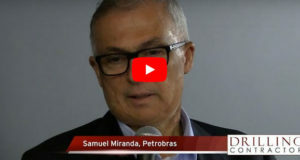 It’s envisioned that the technology can be applied in other areas that can benefit from continuous flow pumps, including mud pumps, various midstream and downstream applications, and numerous other end uses. DeltaTek Global has deployed its SeaCure technology for Chevron on the West Wick subsea appraisal well, which is being drilled from the Ocean Guardian semi in the North Sea. 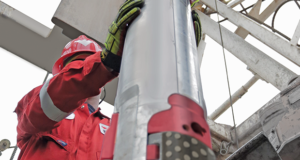 The SeaCure cementing system delivers stabbed-in, inner string cementing for subsea wells and was deployed to cement a 30-in. conductor casing. With no shoe track present, the system eliminated the need to perform a dedicated cleanout run prior to drilling commencing with a 12 1/4-in. bottomhole assembly straight out of the 30-in. float shoe. The project is a continuation of SeaCure’s field trials completed in 2018.